You have a snapshot of your current finances. A less-than-detailed picture of where you stand today, and a vision in your head of where you hope to end up in the future. Harvest Wealth Management will take you through an intuitive process that will transform your fuzzy snapshot into a visual masterpiece. Organizing your priorities and outlining your vision of success, we will work alongside you to get the most out of the life you have worked so hard to create. Your financial life is a very intimate and personal part of who you are. Not only do we realize this, but we honor it by upholding the highest degree of integrity and compassion. During our initial conversations, we will invite you to share the details of your financial life with us so that we may better serve your objectives moving forward. As a firm, our approach is comprehensive and customized. Where you stand today has a major impact on where you will be tomorrow. Our team will position you to align your financial goals with your personal values. The future is bright and full of promise. 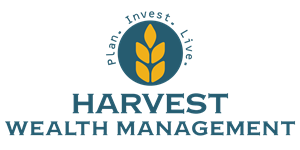 Whether you are just graduating college, starting a family, or nearing retirement - Harvest Wealth Management is the partner you can trust. REGISTERED REPRESENTATIVE, SECURITIES OFFERED THROUGH CAMBRIDGE INVESTMENT RESEARCH, INC., A BROKER/DEALER, MEMBER FINRA/SIPC (WWW.FINRA.ORG) (WWW.SIPC.ORG). INVESTMENT ADVISOR REPRESENTATIVE, CAMBRIDGE INVESTMENT RESEARCH ADVISORS, INC., A REGISTERED INVESTMENT ADVISOR. CAMBRIDGE AND HARVEST ARE NOT AFFILIATED. CAMBRIDGE DOES NOT OFFER TAX ADVICE.THIS COMMUNICATION IS STRICTLY INTENDED FOR INDIVIDUALS RESIDING IN THE STATES OF AR, AZ, CA, CO, CT, FL, GA, ID, IL, IN, KY, MA, ME, MI, MN, NC, NJ, NM, NY, OH, PA, SD, TN, TX, WI. NO OFFERS MAY BE MADE OR ACCEPTED FROM ANY RESIDENT OUTSIDE THE SPECIFIC STATES REFERENCED.